After the showing of a prototype in March this year, Mercedes-Benz has revealed the new eCitaro - a ready for production vehicle for which Mercedes-Benz has signed the first orders for delivery this year. 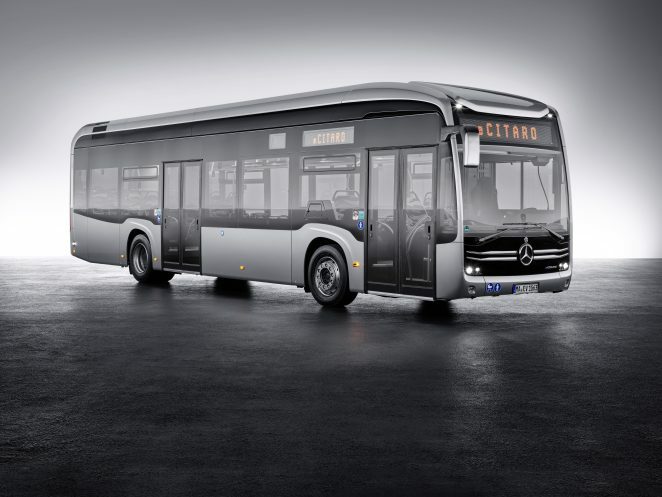 The new eCitaro has design elements from the Mercedes-Benz Future Bus, but it still is a Citaro. The front has the Mercedes-Benz star in its circle together with two horizontal lines to emphasise the corporate identity as in the passenger cars and the trucks. Martin Daum, Member of the Board of Management of Daimler AG and responsible for Daimler Trucks & Buses, referred to the criticism Daimler was facing because of the delay in introducing an electric city bus where competitors already are delivering fleets of hundreds. "We no longer place a question mark after electric mobility for trucks and buses. 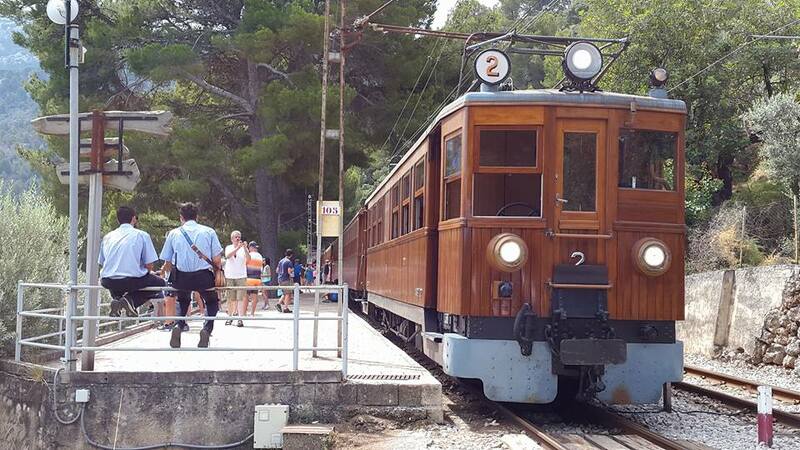 With our world premiere of the eCitaro today, we are shaping the future of the public transport network." The new eCitaro is based on the conventional Citaro, only this one has lithium-ion batteries (NMC) with a total capacity up to 243 kWh. They are modular in design. With the maximum complement of ten battery modules - four in he rear of the bus and up to six on the roof - the eCitaro in standard specification weighs 13.44 tonnes. In conjunction with a gross vehicle weight rating of 19.5 tonnes, this corresponds to a payload of more than six tonnes or around 88 passengers. The range will be at least 150 kilometres according to Mercedes-Benz but 250 kilometres should be possible. Within two or three years a new generation of batteries with a larger capacity should be available. As a third step Mercedes-Benz is planning a solid state battery of 250 kWh produced by the French company Boloré which will give even more power and also is lighter but has as disadvantage that no high power charging is possible. This battery will become available in about four years. To increase even further Mercedes-Benz is planning a fuel cell as range extender. This technology eliminates the need for opportunity charging and the complex infrastructure required for it. For the start of series production, plug-in charging is intended through a Combo 2 plug. There will also be an option to charge the eCitaro via a pantograph. 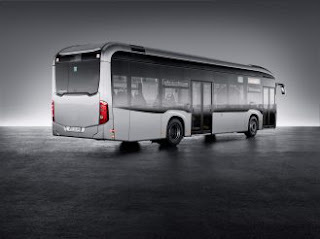 Compared with the current Citaro with combustion engine, the energy requirement for heating, ventilation and climate control has fallen by about 40%.